Undo these chains, my friend. I’ll show you the rage I’ve hidden. Perish the Sacrament. Swallow, but nothing’s forgiven. You and I can’t decide which of us was taken for granted. In between the lens in light, you’re not what you seem. 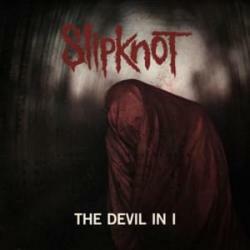 THE DEVIL IN I es una canción de Slipknot del año 2014. La letra ha sido escrita por CHRISTOPHER FEHN, COREY TAYLOR, CRAIG JONES, JAMES ROOT, MICHAEL CRAHAN, MICKAEL THOMSON, SIDNEY WILSON; publicada por Sony/ATV Music Publishing LLC. Agradecemos a Donaukinder3033 por haber subido la letra.